What’s bread of the wilderness? This is a follow up to an article I posted about making this perfect primal stick-to-your-ribs survival food a few months ago. Like most things survival related, it’s best to experience it first hand before counting on it with your life. 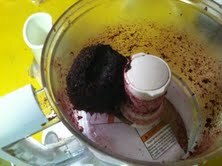 Here you’ll find my mistakes and successes making pemmican. “Doing the stuff” is more important than talking about or reading about the stuff. Frontiersmen, polar explorers, American Indians, fur traders, soldiers, hunters, and mountain climbers all understood the importance of carrying a lightweight, compact, food to sustain them on physically taxing adventures. Little is needed to prepare tasty (with the right recipe) “bread of the wilderness.” Just a few ounces was said to keep soldiers marching for several days. Also, with no time to cook with an open fire that might give up your position to the nearest looter population, packing pemmican is a great fuel to help get you to your hideaway. Another advantage, according to Washington, is you poop less and with less offensive odor. If you’ve never wiped your backside in the woods with leaves, smooth rocks, or a shirt tail, you won’t appreciate this point. As to frequency of nature’s call when eating pemmican, I ate pemmican, parched corn, and dried fruit on a three-day survival class once and only needed to relieve myself at the end of day three. There are many recipes online for pemmican. Here’s what I used. 9 oz. of beef jerky: I would have preferred to use homemade jerky (venison or beef) but I’m out. So I went with 6.2 oz. and 3.0 oz. bags. 3 oz. of dehydrated blue berries and maybe a couple of ounces of cranberries. I didn’t measure. About two inches of melted tallow in a pint mason jar. Again, not exact measurements. I buy my grass-fed beef fat from a local butcher and render it myself. Here’s our link to rendering tallow. You want to grind the jerky into as fine a power as possible. I used a food processor. NOTE: If using store bought jerky, you’ll want to dehydrate it in the oven (or dehydrator) until it is brittle when bent. I tossed this batch in the processor and it didn’t give me the desired powdery texture. I dumped the chopped meat into a pan and placed it in the oven at 175° with the oven door cracked slightly to vent moisture. Be sure to remove these before processing store bought jerky. I almost ground this one up. I loaded the fruit into the processor thinking I’d create fruit dust. Wrong! All those little individual pieces turned into one huge glob of fruit. Not what you want to happen. You’re going for a powdery mixture on the fruit as well. Some say a few chunks are okay. To remedy this, I rolled the fruit ball out into a thin layer on a cookie sheet and tossed it in the oven with the jerky. Too much moisture leads to a fruit ball! I stirred the jerky every hour and poked the fruit. After about 3 hours and no more patience, I took both out and let them cool. The fruit tasted like a fruit roll-up. Very yummy! The fruit hardened after cooling. I then added these two back into the processor at the same time and let her rip. With more moisture evaporated, both the meat and fruit broke down into smaller pieces. Now comes the best part. 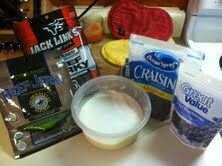 Add the liquefied tallow in small increments in a container with the ground jerky and fruit. Hand mix as you go. You want enough fat in the mixture to be able to hold the ingredients together. Too much liquid fat will cause a soupy mixture that won’t hold together. Too dry and it crumbles. Once you’re satisfied with the consistency, give it a test. Take a scoop into your hand and form it into a ball. I squeezed mine into a log shape. Dirt Road Girl said that the shape I created was very unappetizing. It reminded her of cleaning up after our two mongrel mutts in the backyard. A good buddy of mine who cooks in BBQ competitions told me that we eat with our eyes. If that’s the case, you may want to spread your pemmican out in a Pyrex dish and cut them into more appealing brownie shaped bars – for your eye’s sake. Don’t eat with your eyes! Either way, they turned out fine to me. They will store without refrigeration – if I don’t eat them beforehand. My next batch, I’m adding a little spice like cayenne pepper. Kick it up a notch! On my last pemmican post, Matthew from Jimmy Cracked Corn, asked me for an honest assessment on the taste. Here’s what I think Matthew. It’s not something I’d serve at the dinner table with company. It is very tasty, nutrient-dense, and long-lasting – both as a storage food and fuel in the body. It’s an acquired taste I’d say. It’s a survival food. Along the lines of your survival food, I tried my hand at making hard tack this past weekend. It’s hard and I can probably use it for building a new wall by our garage, It tasted as good as baked library paste can taste, I think I will add some garlic powder or something like that to the next batch. I also have a recipe for pemmican and am going to try that next week as it is grocery week next week. 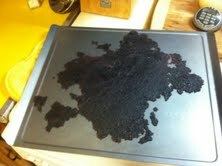 I have some dehydrated blue berries and apples that I made in my dehydrator last summer. Not too sure how it will taste, but if the SHTF, I’ll be ready. The next batch of pemmican will be made with my own jerky. 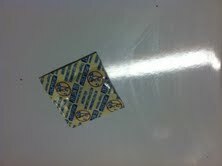 I’m in the market for a dehydrator…funds are hard to come by these days. I love this. I am wondering how long, more or less, the pemmican lasts? Great site, great articles, great writing. Merry Christmas! Lex Rooker wrote the manual on pemmican. It’s about 16 pages on pdf. It’s well worth the download and print worthy for future use…if you plan on making a batch. Cheers! The beauty of pemmican is the fat content. It alone would sustain a person. I’ve never considered a veggie variety. How would it hold together? Jamie, found a pemmican recipe for you. There’s four recipes and the author says you can make it vegetarian with a few substitutes. Let’s make a deal. If you try it, you gotta share the results with us 😉 Deal? Please do. Looking forward to your report! has anyone tried using bacon grease instead of beef grease? I think bacon grease would be a bad choice because it nearly liquifies at room temperature. Anything in the mid-hi 80’s up to the 90’s and your pemmican would be soup. Good tasting soup, to be sure….. but soup nonetheless. There is a very important part of “pemmican as food preservation” that has been left out here. Normally, the fat ON THE OUTSIDE of pemmican will eventually go rancid. 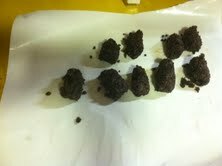 When making traditional pemmican, after making the balls, they are repeatedly dipped into the hot rendered fat, allowed to cool, dipped again, etc. 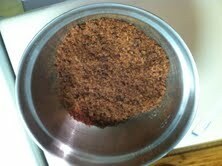 until there is a thick coating of fat (1/4″ up to 1/2″) over the whole pemmican ball. Obviously this uses a lot more fat. Then, when the pemmican has been around long enough for the outside fat to go rancid, that doesn’t mean the pemmican has gone bad! The outside part is scraped off (or the whole fat layer, depending on how starving you are and individual taste) before eating. It lasts MUCH longer this way, since as long as you heated your pemmican balls and fat properly (AT LEAST 180 degrees), the inside doesn’t go bad for a very long time, just the outside. Sailors used a similar technique for their meat. They would pack a layer of salted meat into a barrel, pour in enough HOT rendered fat or lard to cover it, add another layer of meat, add more fat, and so on until the whole barrel was filled. Then, at sea, they’d scrape the rancid fat off the top to get to the good fat and meat underneath. Guess what? There is a fat that is easily available, makes good pemmican, and doesn’t go rancid! What is this miracle ingredient? Peanut butter. The peanut oil in (pure) peanut butter can be kept at room temperature for years and it won’t go rancid. This requires PLAIN peanut butter with no added ingredients, except you can get it with or without salt, to your own taste. The problem with “regular” peanut butter is that it almost always contains other oils which WILL go rancid. You need the peanut butter that is made from just peanuts. Adams makes suitable natural peanut butter, with and without salt. Don’t assume! Read the label! The ONLY ingredients should be peanuts and (optional) salt. All you need to do is substitute the peanut butter for the fat in the pemmican recipe. Be sure to coat your balls with more peanut butter after forming them, as described above. And make sure to keep everything HOT when you’re making it so you don’t give yourself food poisoning. Not only will it last longer, it adds even more protein and other good nutrients to the pemmican. Properly made peanut butter pemmican will keep for at least a couple of years, and probably longer if kept in a cool DRY place. The person I got the recipe from packs them in clean 5-gallon buckets. Over time, some oil will separate out of natural peanut butter. This is normal. You can slow or prevent the separation by refrigerating it. I haven’t tried freezing so I have no opinion on that. Never vacuum-pack dried meat. When you put it in containers, make sure there is plenty of air space. Anne, thanks for adding to the conversation. Never heard of coating pemmican with tallow. Makes sense, though. I’ll have to do my due diligence on your suggestions. No offense intended. Peanut butter pemmican. Looking into that too. Thanks for sharing! Keep doing the stuff, Anne! Sure, no problem. There are lots of “modern” versions of pemmican but I have found old historical references to be best for this particular thing. I think the recommendation there is at least 160 degrees but I recommend 180 to be on the safe side. Also, a VERY good source for food preservation information (including jerky making) is the University of Alaska, Fairbanks. Alaska eats more wild game per capita than any other state, and Fairbanks is a noted authority and research leader in food preservation. UAF recommends dried jerky be heated twice: once before drying and one after, before putting it in containers. BUT… they are only talking about heating it briefly, not actually cooking it. And again, jerky should rattle around loosely in its containers. Lots of air space. I have personally kept opened (but not “left open”) gallon-size containers of natural peanut butter at room temperature for over two years, and its flavor wasn’t even off. Love you for sharing the stuff here, Anne! Ton of great info. Looking into UFA info now. Lots to chew on…pun intended. Do you think you could coat the pemmican pieces in beeswax or something similar instead? I was thinking when you’re ready to eat your pemmican, you could even melt the wax off over a low flame, catching it and using it for candles or re-use it to coat another batch of pemmican. I don’t think beeswax will go rancid. I used to make pemmican with my granddad many moons ago. We came across a hamburger patty maker and thought, ‘this would make the perfect pemmican rounds!’, and it did. I wish I still had that patty maker! It smashes evenly and perfectly, some wax paper in between and voila! perfectly even, easy store rounds..
Great tip, Joanna! Glad you got to learn this skill from your granddad. I’m sure you’ll pass this on to the next generation. Can you use freeze-dried meat and fruit? I’ve never tried it with freeze-dried ingredients, Melissa. I’d have to do some research on that method. I was under the impression that grains were added to pemmican ,such as corn meal ,flour and rice.Am I wrong.Am I wrong? As far as my research has shown, no grains. Meat, rendered fat, and dried fruit.